Nepal's popular Mithila Festival kicks off in UN Headquarters New York - Integration Through Media ....! 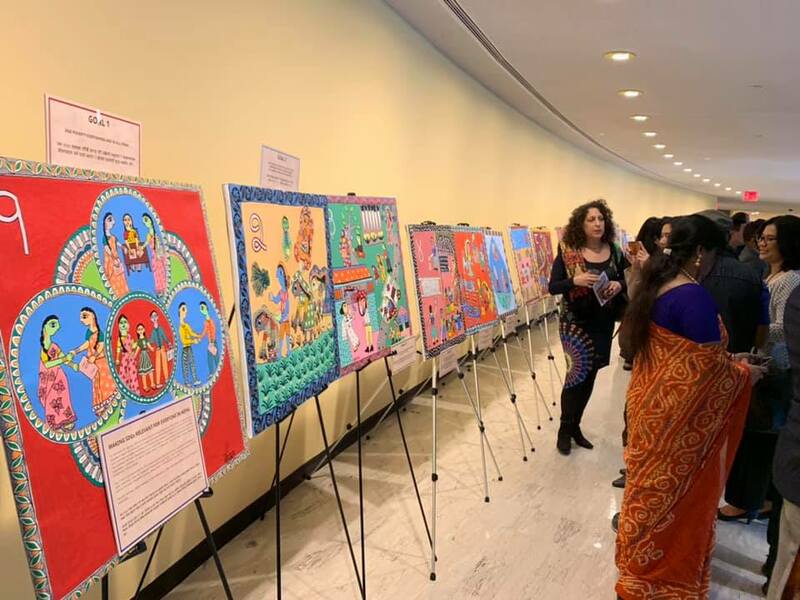 NEW YORK: The Permanent Mission of Nepal to the United Nations in New York and the Mithila Festival, USA, organized an exhibition entitled, ‘Art for SDGs: the Mithila Heritage’ at the United Nations Headquarters in New York today. 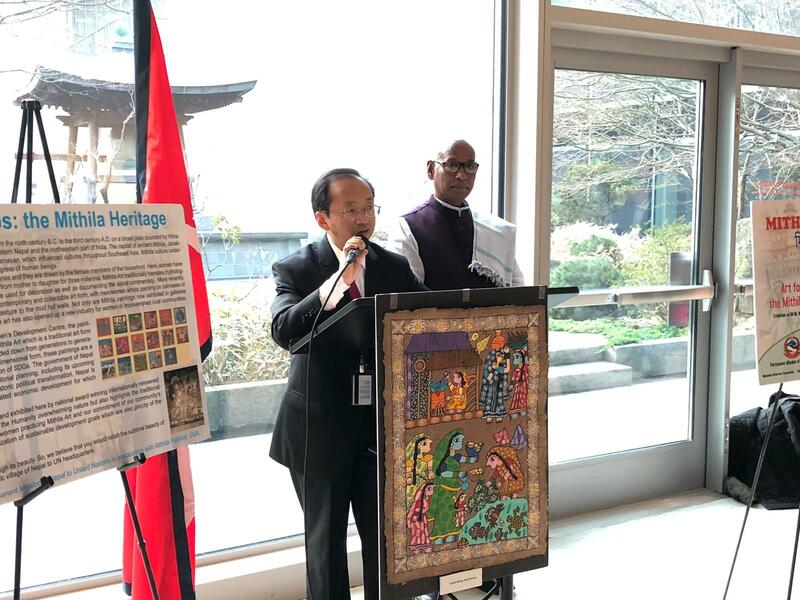 Speaking in the opening of the exhibition, Amrit Bahadur Rai, Permanent Representative of Nepal to the United Nations, welcomed all guests and highlighted the importance and relevance of Mithila art in the SDG era. 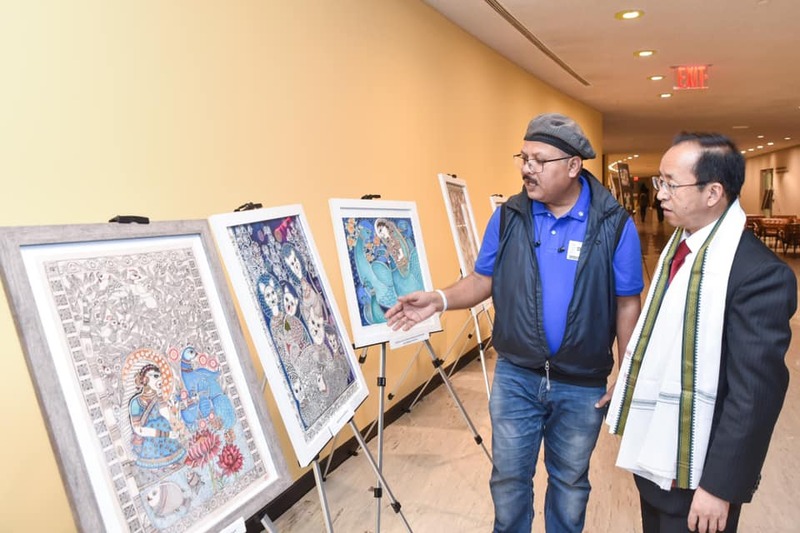 The Ambassador said that the purpose of the event was to showcase the richness of the Mithila art and its utility in the implementation of SDGs. Also speaking in the programme, Mr. Lal Kishor Sah, Mayor of Janakpur Sub-Metropolitan City, said that the exhibition was timely and relevant in the context of SDGs implementation. He added that the Mithila art paintings “demonstrate not only our commitment but also our community’s cultural base for the promotion and realization” of SDGs. The paintings being exhibited were created by the women artists of Janakpur Women’s Development Centre and by New York-based artist Mr. Ajit Kumar Sah. The paintings depict 17 SDGs as well as Mithila themes of love, nature, harmony and beauty. 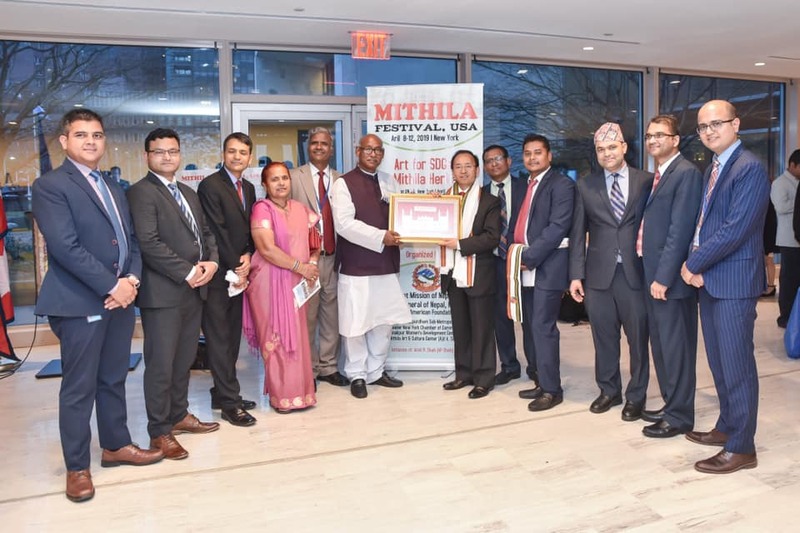 Permanent Representatives and other diplomats of various countries and representatives of the Nepalese community in New York were present on the occasion. The paintings will be put on display until 12 April 2019.